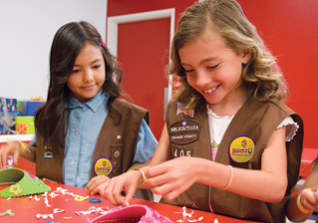 Scout Parties - Approved by GSEM! 1 hour of PRIVATE playtime in 2 awesome, climate-controlled bounce rooms featuring giant inflatables and FREE air hockey. 45 minutes in a PRIVATE, fully decorated party room to celebrate and to enjoy food & drinks if you choose. Dedicated Party Hosts to ensure that your event is hassle-free and memorable from the moment you arrive until you head home! SORRY, NO OUTSIDE FOOD OR DRINKS ALLOWED EXCEPT FOR CAKE (non-refrigerated). Up to 10 additional participants can be added up to a maximum of 35 for $9/each. A $50 deposit is required to secure a reservation. Deposit is refundable if you cancel your party at least 30 days before. Maybe your team is having a dream season. Maybe not. 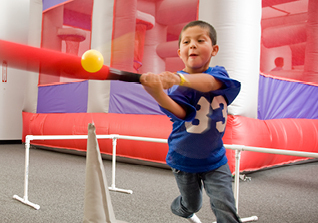 Either way, you deserve to blow off a little steam - and BounceU is just the place for it! You'll score major points when your players get a load of our famous bounce stadiums, fun-filled celebration rooms, and fantastic games.